We see the world with two eyes and understand the depth of what is in front of us. And as most of our cameras fail in capturing the depth of a scene, it is all flat. It was in 1840s when the world heard about the 3D Photography, also known as Stereoscopic Photography, for the first time ever. At the next YPS Slideshow meet let us understand the art of capturing and displaying three dimensional images from a renowned 3D Photographer Mr. Nanda Kumar! The world was already over whelmed when the word “Photography” was introduced for the first time in history, as we could capture the light in reality. And when they heard 3D Photography, it was a WOW moment! 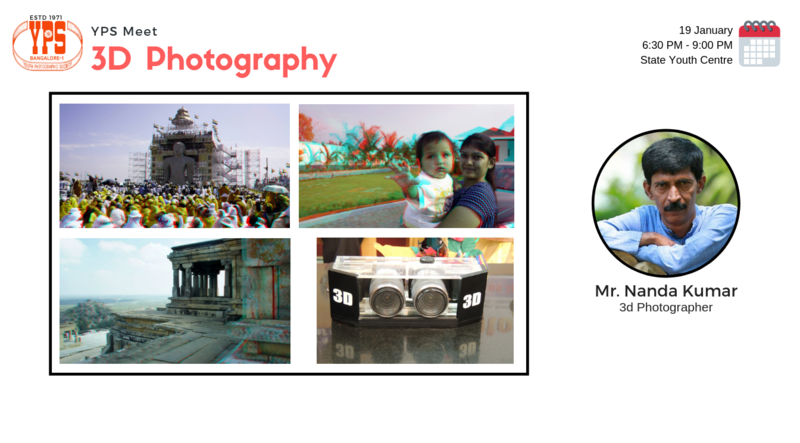 The challenges involved in 3D Photography and the technology required in executing the same will be explained by Mr. nanda Kumar, combined with his own experience and display of images created by him. Mr. Nanda Kumar son of Shri.Subba Rao and Smt.Kamalamma, is a senior photographer in media industry from the cultural city of Mysore. 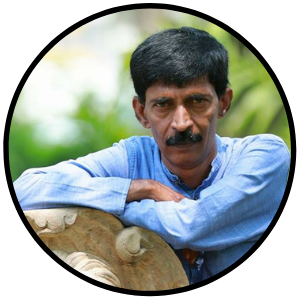 He had interest in photography from his high school days itself and got inspired by the great Puttanna Kanagal Kannada film director for his black and white photography techniques. He could not continue his formal education after his SSLC as he lost his parents. He was on his own at very young age itself. He concentrated on full time photography and participated on national level Hoysala photography award and won first place in both colour and black & white category. He served many years as photo journalist for state and local newspapers. He worked for Prajavani and Deccan Herald as official photographer for 10 years from Hassan. He held a Photo Exhibition of his pictures on babies, Wildlife, Birds, Photo journalism for the first time in Hassan and it was inaugurated by Kannada film director Nagathihalli Chandrashekar. He was greatly inspired by the film Chota Chetan 3D movie and started research on the 3D technics and met technicians of the movie and received guidance. He took it as a challenge, after 7 years of research and developement with so many cameras and technics he invented his own 3D Camera setup. He later did research for 3D glass through out India and after he made his own set up of 3D camera and 3D glasses he started experimenting at the events like birthdays, marriages and other events and tasted success. In the year 2012 he launched his own website with the hands of great cine actor and senior photographer Shri. Shivram. Hindustani/Carnatic singer Smt. Sangeetha Katti and Padmashree Kadri Gopalnath, Saxophone artist inaugurated photo exhibition in Bangalore Press Club. Then he faced real challenge of making people understand his website because they didn’t have 3D glasses. He got an idea of experimenting with his 3D Technique on historical places and monuments. He got the opportunity to capture Shravanabelagola Mahamastakabhisheka 2018 in 3D with the support of Swamiji and the Deputy Commissioner of Hassan District. 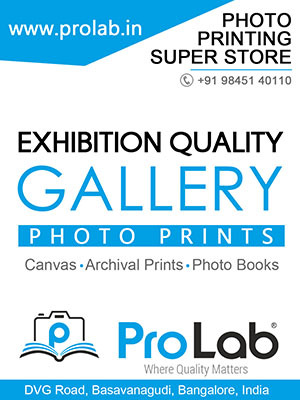 After one and half month effort he was successfull and his 100 magnificient pictures got exhibited in the permanently gallery. During April 2018 his 3D photo exhibition was held titled “Jaina kashi in 3D” in Bangalore Metro Rangoli gallery for three days and was inaugurated by Praveen Godkhindi with grand success. He has number of followers and he shares his knowledge and talent with them through social media like Facebook etc. He has many photographers interested in 3D worldwide following him on his Facebook page 3D studio. Let us meet this Saturday at YPS to experience Stereoscopic Photography!